The reformed church or St. Michaël is a three-aisled hall-church with a unique tower in mixed Romanesque and Gothic styles. It survived the big fire of 1575. This is what is left of the St. Ursulakapel ('chapel of Sr. Ursula') from ca. 1415. 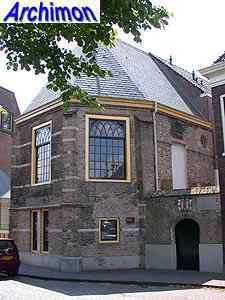 After the Reformation the chapel was used as a school. In 1783 the western part was demolished and replaced by a new building. 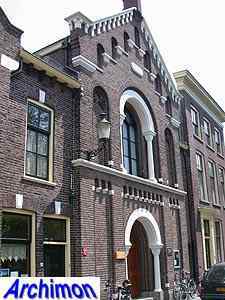 Since a restoration in 1984-1985 the former chapel is part of the police station. Unlike the Old-Catholics, the Roman-Catholics chose a new patron saint for their church after the ban on their religion was abolished. 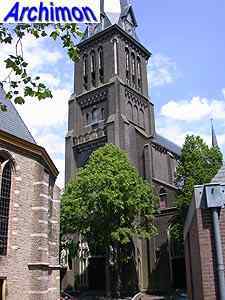 The H. Franciscus van Assisi is a neo-Gothic church from 1881, designed by E.J. Margry. 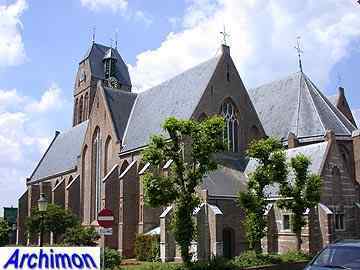 The Old-Catholic church of H. Michaël en Johannes de Doper ('St. Michael and John the Baptist') dates from 1882 and was designed by M.C. van Wijngaarden.